Make your own Earth Commitment by using the following resources to reduce your environmental impact. Proper signage is essential to increasing waste diversion. 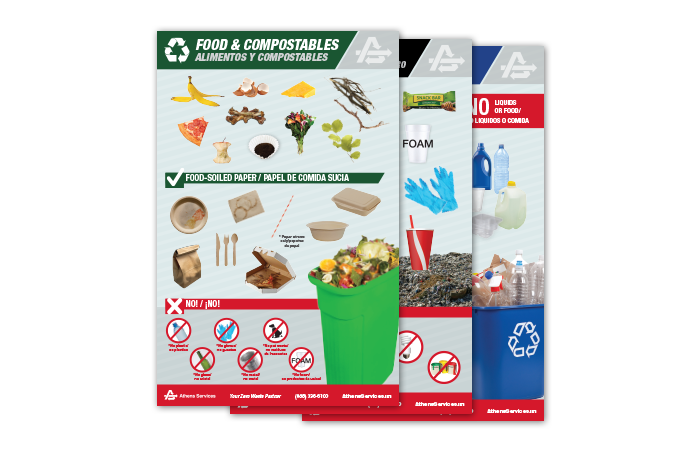 These posters are designed to help businesses, customers, and residents sort their recyclables, landfill, and organic waste accurately. To ensure participation, be sure to print and place signage on all your corresponding waste containers. FIND YOUR CITY: Check here first, to verify what service Athens provides your City. PRINT NOTIFICATION: To make sure the borders are not cut off when printing, please do the following: open PRINT, find PAGE SCALING, and select FIT TO PRINTABLE AREA. It’s important for all of us to take action to reduce our environmental impact. From purchases to traveling, all of our behavior has a significant effect on our communities and the planet. Small Business Calculator – Company-Wide GHG Inventory for a Small Business. Tracks GHG emission reductions and energy savings from different waste-management practices. 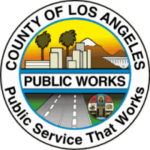 We also recommend checking with your local city and DWP websites, libraries, or organizations for additional information on environmental resources, events, incentives, community gardens, and other opportunities to get involved.